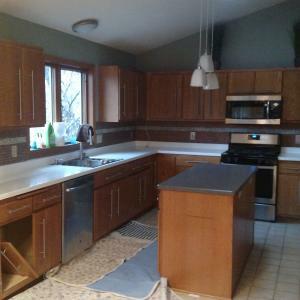 Before: This kitchen in Lakeville, MN was very dated looking and the owners were tired of the golden oak cabinets typical to this area. The undersized wall cabinets did not make good use of the high ceilings in the space. After: Notice the new taller wall cabinets with a nice medium sized cove molding. 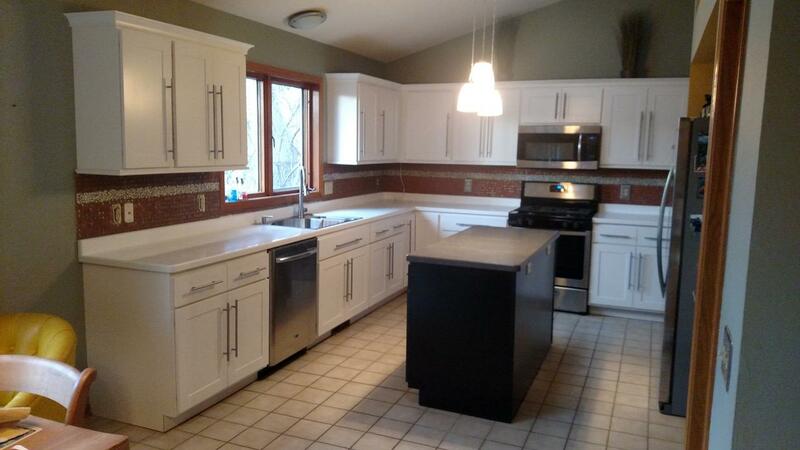 The base cabinets were refaced to perfectly match the new cabinets. Several modifications were also made to base cabinets like converting the standard base next to the refrigerator to a four drawer base. Refacing is very flexible allowing many modifications. 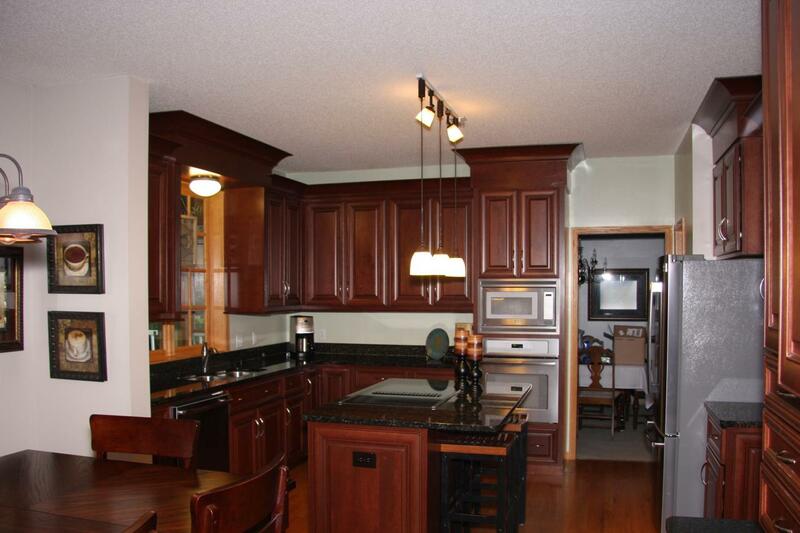 Before: While this kitchen looked nice in maple, it did not fit in with the rustic setting of this lake home. After: The rustic alder suits the home and owners tastes much better. 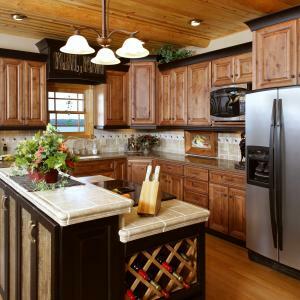 Notice how the contrast of the island and othe painted accents lends style to the design. 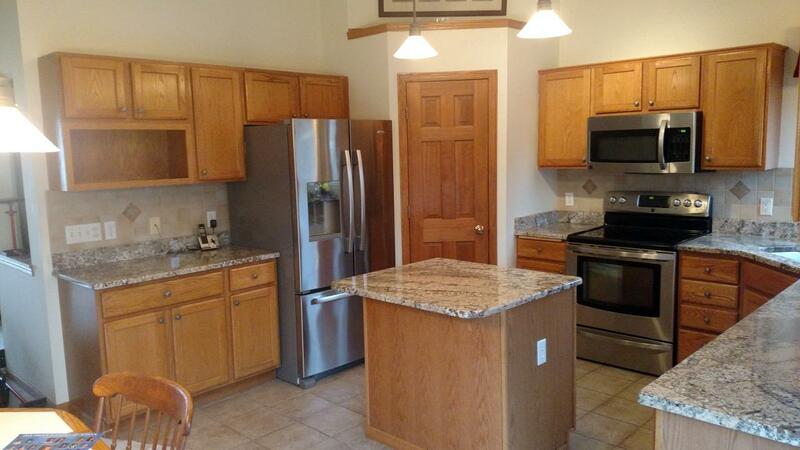 Before: A very typical kitchen in this area. Golden oak. A low quality, tired finish. 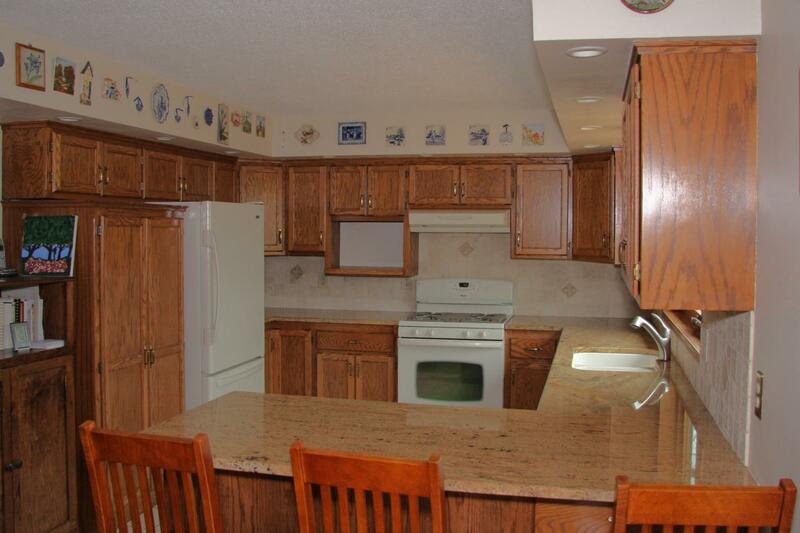 Note the dated look of the valance above the sink and the top molding that is far too small for such high ceilings. 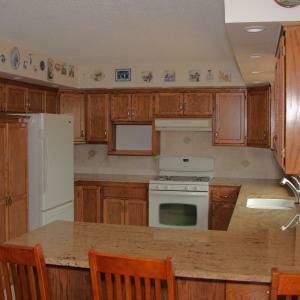 It does have nice granite countertops making it a perfect fit for refacing. After: What a dramatic change! 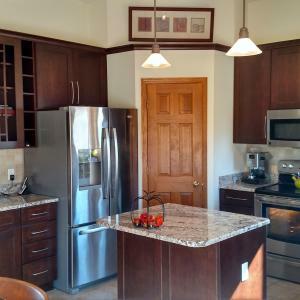 Now this kitchen has a beautiful Cherry finish and a classic door style. The new valance is a real eye catcher and the large cove molding in varied elevations gives the room so much more interest. 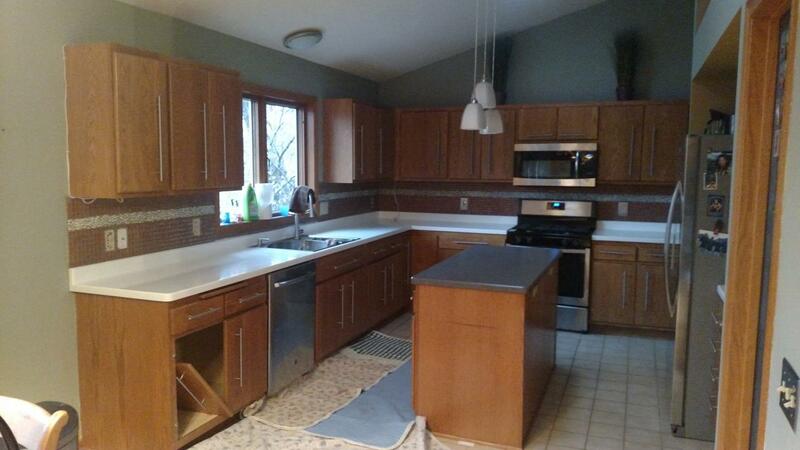 Before: This home is only about 10 years old, but the dated door style made the kitchen look much older. After: This transformation quickly brought a fresh look to the kitchen and the addition of the island makes it much more functional. Before: In need of an update! The doors had a dated look with rounded edges on slab doors. The hinges no longer operated correctly. And the kitchen just seemed dark despite plenty of natural light. 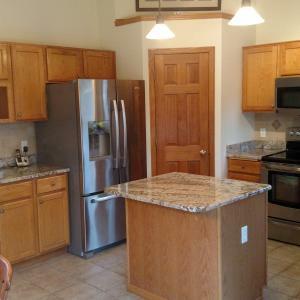 After: The kitchen is much brighter now and the door style is much more pleasing. 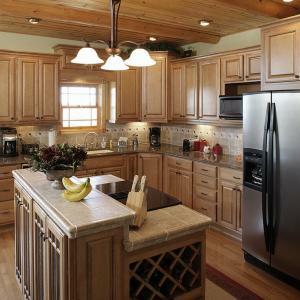 Note the contrasting center island, a popular look. The existing pulls were reused and look much nicer on this door style. 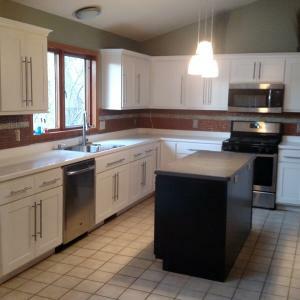 Before: This kitchen has a nice layout and functions well. 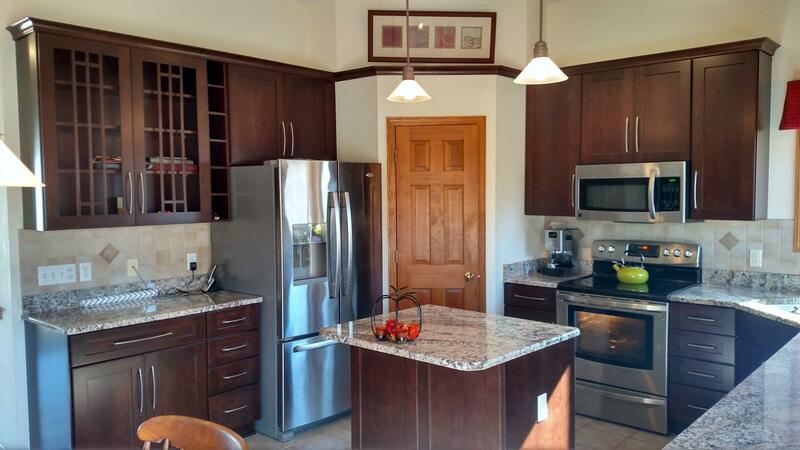 The countertops had recently been updated with nice granite. It just looks very outdated with the door style and exposed brass hinges. After: Refacing was the perfect solution. The granite looks beautiful with the new Maple finish and raised panel doors. Now this kitchen excels in form as well as function. 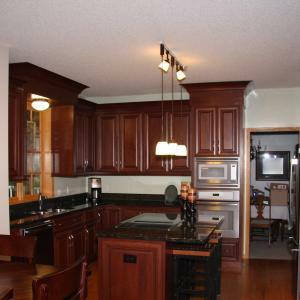 While not a reface, this new kitchen shows that the Face Value team can help with new cabinetry as well. 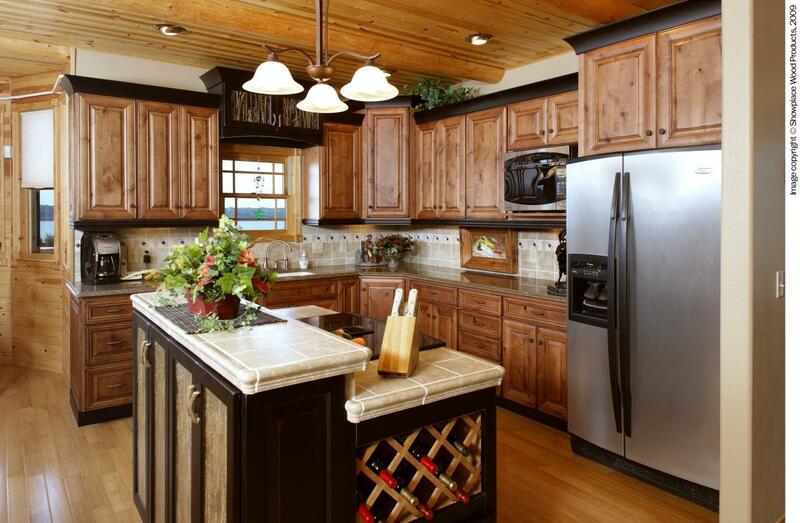 We can bring better function and style into any kitchen. We can even give your bathrooms more class. 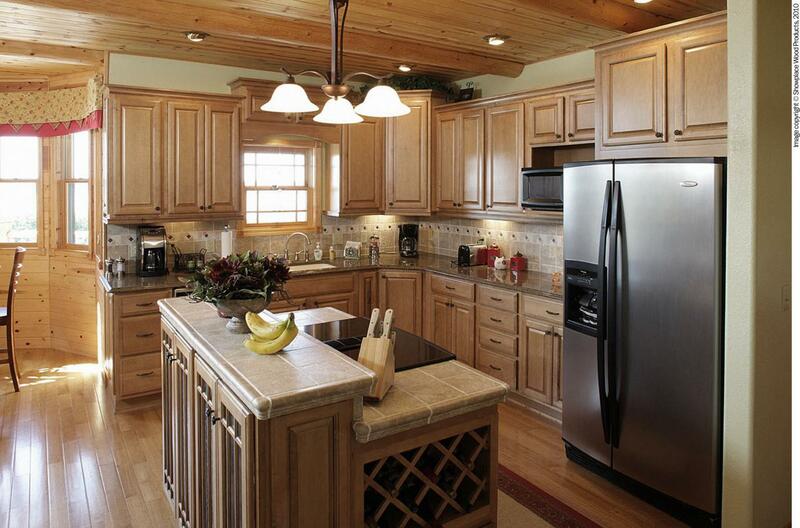 Refacing as well as new cabinets are perfect for any room in the house. Copyright 2012 Face Value Cabinet Refacing. All rights reserved.